A wolf prowls in the snow with his pack. 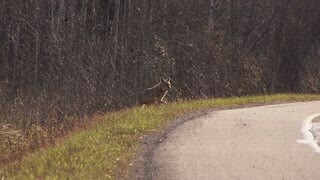 A coyote at a nature preserve near Green Bay, Wisconsin. Overhead aerial view of many Rv's camping on Coyote Beach in Baja California and the Highway behind with a big truck driving on it. Aerial view of the coast of Coyote Beach in Baja California. Aerial view of the Coyote beach with desertic mountains in Baja california. Aerial view of Coyote beach in Baja california with RV's parked on the sand. 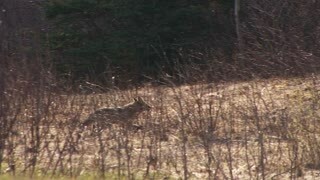 A coyote in a forest at day. Cliff Edge in the Death Valley (Coyote Rock), Atacama Desert, Chile. Sunset in the Atacama desert. Coyote Rock Chile.